Northern Spain is prime for pescado aficionados, and the seafood in Asturias didn’t disappoint. In the town of Aviles, Casa Lin must not be missed, which we found via a local recommendation. Through a small, inconspicuous door, a scene from the Middle Ages unfolds: stone walls give off a cavernous atmosphere; steaming platters of shellfish are wielded by rough-edged waiters, door banging behind them; cider is guzzled and conversation flows. 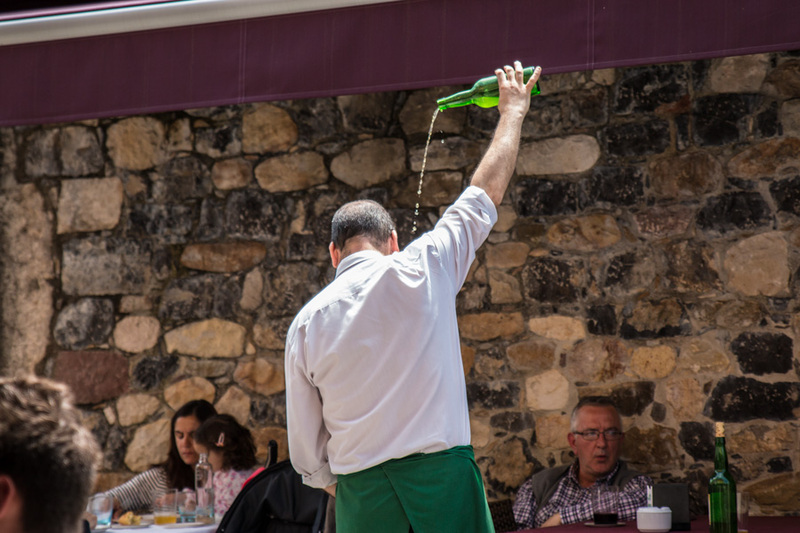 Even though Spain’s wine regions are a grape’s toss away, the swill of choice here is cider — locally brewed batches that possess a stinging bite, bottled in green glass and poured from high overhead. Experts, those practiced drinkers who could tell you the very orchard from which that cider came, hold their cups low to the ground, raise the bottle as high as they can, and pour thin amber streams of cider into squat glasses without spilling a single drop. They pour it in this acrobatic way so as to aerate the cider and increase the carbonation, as drinking the cider straight from the bottle is a cultural no-no (it tastes like bitter, earthy apple juice sans bubbles). In fact, you’re meant to pour out only as much as you’ll sip in that particular moment, because letting the cider sit means it will lose its effervescence. We tried our hand at pouring the cider ourselves, but we spilled more often than not. Many more years of drinking are required before we attain the same black belt level of cider-pouring mastery as the Casa Lin locals. 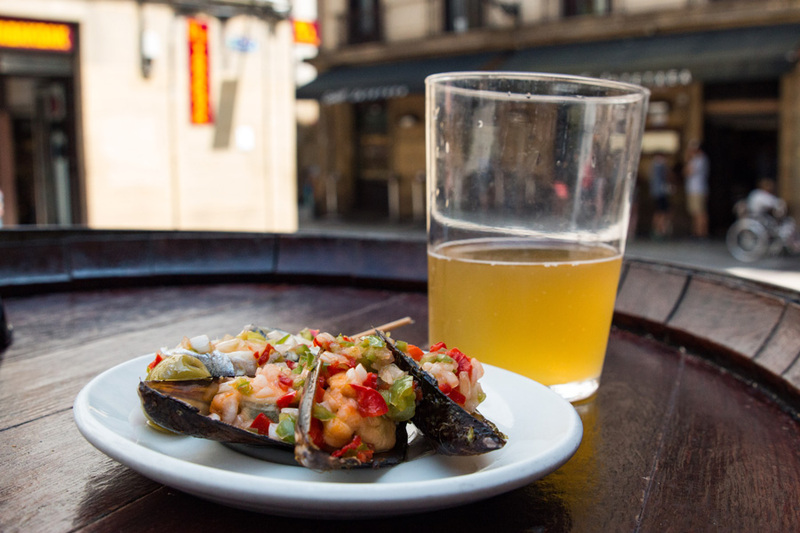 We were, however, champion eaters, pairing our cider with paella, a renowned Spanish classic. At Casa Lin they do the traditional dish up proper, and we raised our cider glasses to our server as he brought out a sled-sized paella platter, heaping with saffron-stewed rice, clams, mussels, prawns, calamari, and langoustines. Another Asturias favorite was El Campanu, in Cangas de Onis. We stumbled upon the restaurant and sat on the patio, where we ate a complimentary classic appetizer of Spanish cured ham (jamón serrano), and then dove into local specialties like grilled salmon, fresh scallops, and stewed mountain goat, fresh from the nearby Pyrenees. 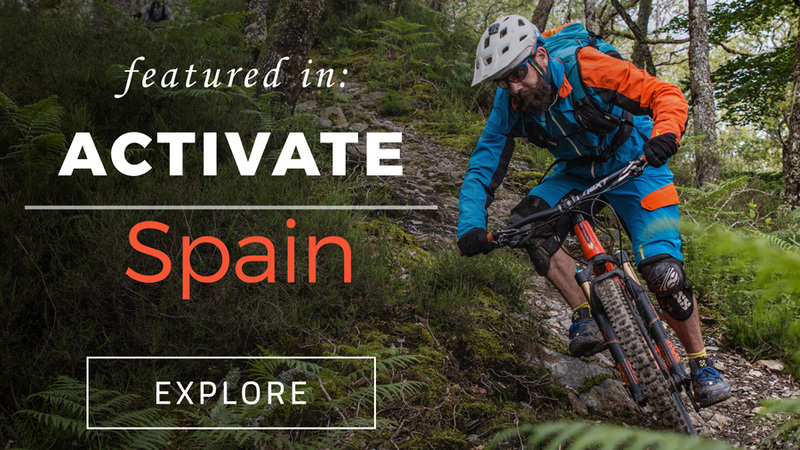 Cangas de Onis is nestled in the foothills of the spectacular Picos de Europa National Park. Both of these siderias (cider houses) proved to have excellent food, even though the main draw was having a glass of that bitter cider, poured from high overhead. Still, there are plenty of local spots, tucked away in the tight, curving streets of small towns in Asturias, that you’ll find simply by exploring until the scent of cider and seafood hits your nose.